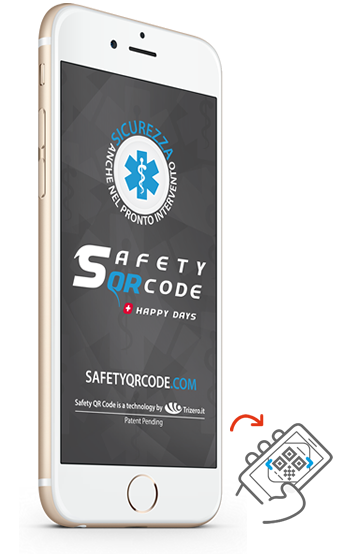 Safety QR Code is a system that allows your useful information to be available at all times during emergencies. 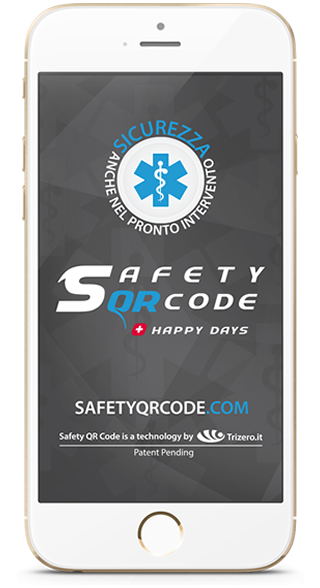 With Safety QR Code at your side, your useful information in difficult and rescue situations will always be available to your rescuer. 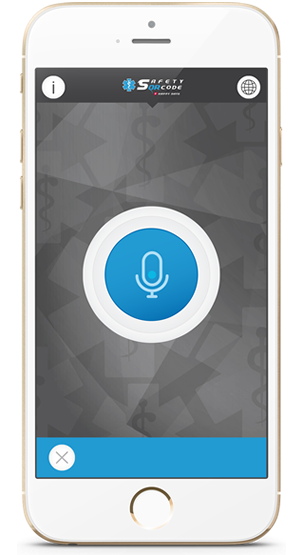 A simple sticker transforms into a voice recorder through the use of a smartphone. 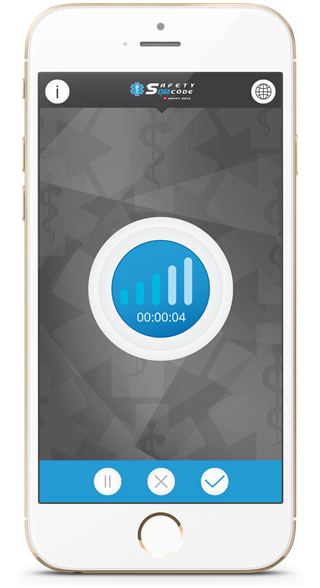 To record the message all you need to do is install the free "Safety QR Code" App (Apple and Android), whereas it can be played back by any device with a QR code reader. Safety QR Code allows you to record a personal message with your sensitive information that could be of great importance in emergency situations typical of emergency services. Your message is matched to a special, unique and personal sticker. 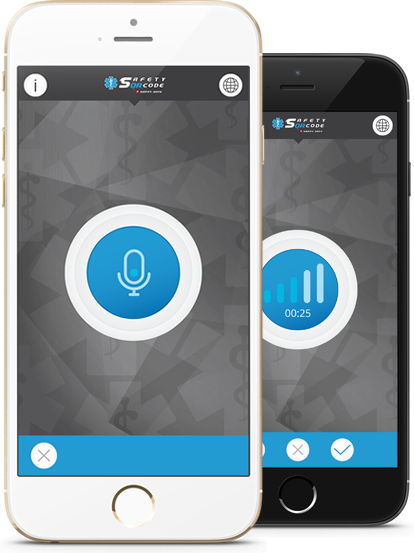 Your voice message is memorised on the Safety QR Code sticker QR code. You can apply this special sticker on your helmet for greater safety when you are travelling, having fun or engaging in sporting events. After 3 years you can decide whether or not to renew online. The special Safety QR Code sticker is printed on special material which is GUARANTEED and RESISTANT to wear and adverse weather conditions. It is universal and suitable for all model helmets. The shape has been designed to adhere easily. We recommend applying the sticker on a flat area of the helmet, taking care not to create any creases on the QR code. Any creases could compromise operation and prevent playback of the information by rescue personnel. Safety QR Code can provide you with extra personal safety in the event of emergency rescue. We recommend always using it responsibly and always remember to disable the personal voice message if you lend your helmet to someone else. 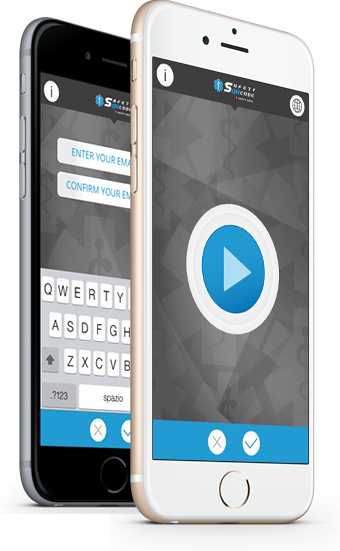 You can record your personal message in few simple steps. Safety QRCode will link it to the special sticker you can put on your helmet. You will then have all your useful data together with you in case of emergency. 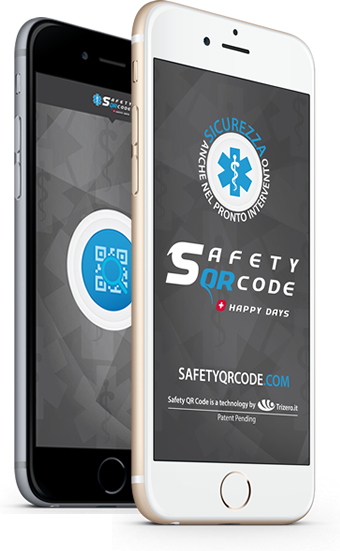 Download the free “Safety QR Code” app from the App Store or from Google Play. Click on the icon to download the app. Frame the QRCode on the Safety QRCode sticker. 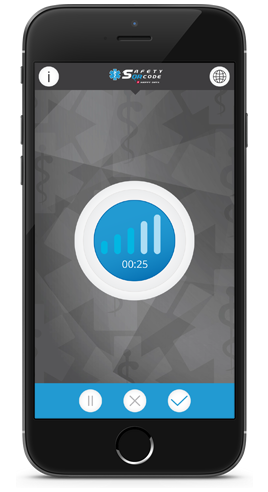 The QR code will be read faster if it is aligned with your smartphone. Use the pause/play button between sentences. 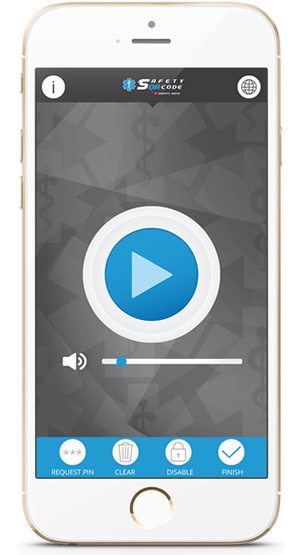 Then click on the xyz icon to close your recording. Replay your message. 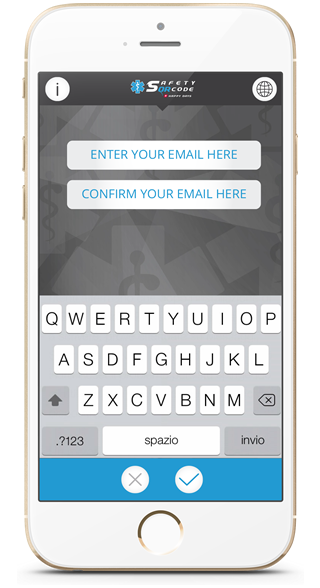 If you like it, click on the confirm button, otherwise click delete and record your message again. Only the first time you will be requested to enter your e.mail. 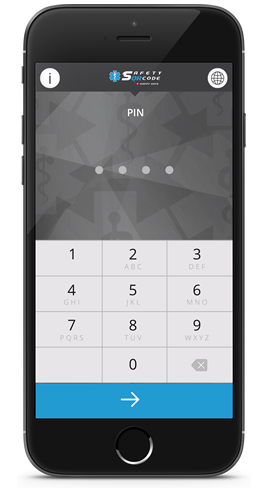 Il will be used to send you the PIN code that will be necessary to erase, suspend your message or record a new one. You can delete your SafetyQRCode message in order to record a new one, or decide to suspend it temporarily. For security reasons you will need to enter your PIN to enable these actions. If you do not know your PIN click on the icon with the stars. 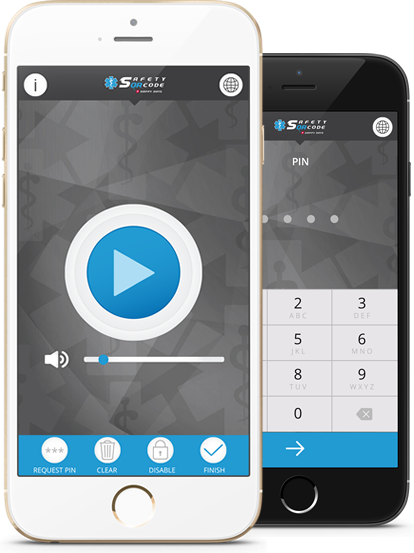 You will receive a mail with your PIN code within minutes. Is it already three years since you recorded your message? 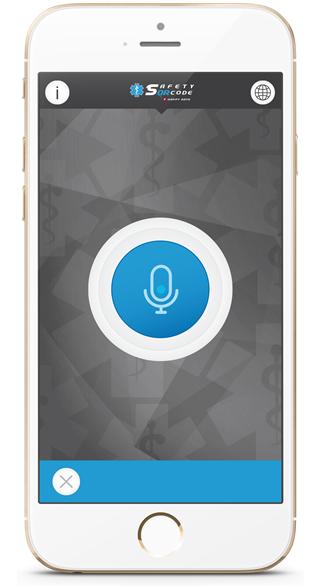 If you recorded your SafetyQrcode recently, then don’t worry: you will receive an alert when your message is close to expiring. 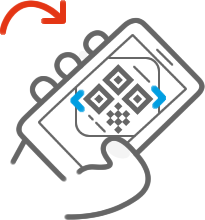 Using Safety QRCode is simple and intuitive. If you need any help or additional information we are here to support you.